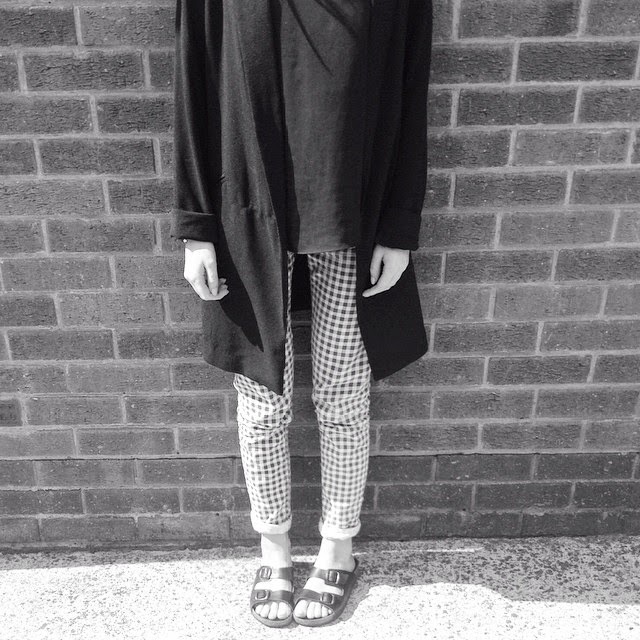 OUTFIT: Shoes, Topshop. Trousers, Primark. Jumper, Topman. Top, Topshop. Jacket/coat, Newlook. My parents went away to Turkey a week ago and like a good daughter I looked after the dog for the week. Our black Pug called Charlie who is the biggest cutie going. I have pug obsession. 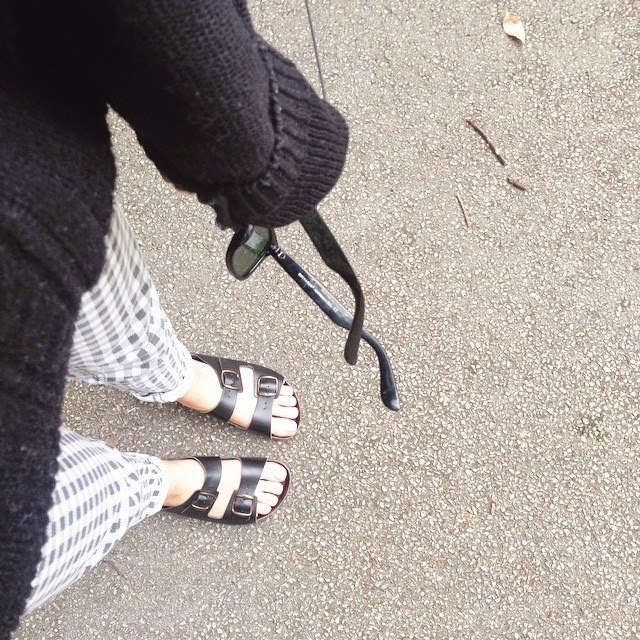 So while getting up every morning at 8 am to walk him then walking him again in the evening time I practically lived in big jumpers, jeans/leggings and my Topshop dupe Birkenstocks oh and my boyfriends Raybans. When I did go out properly, I then lived in my black duster coat. What I like about this one is that it is not too long. I just don't think I could personally pull off really long duster coats which I pin/tumblr all the time because of being so short. I'm 5 ft 1! I have a lot going on lately which I am really excited about and which is making me such a happier person. I love fashion, I love history (esp American) and I did it at University and I love the fact of having a purpose in life. I want my life to be about helping others, indulging in the fashion and the visual world and to focus on a career which will make me happy. I'm torn between two routes but time shall tell which one I should take. In the meantime I'm happy blogging and whatever else life throws at me. What a lovely post, really enjoyed reading it! I love those trousers, can't believe that they are from Primark!